APR 16, 2019 -- Lab manager Adilene Osnaya will be joining the Clinical Psychology doctoral program at Purdue University where she will be working under the mentorship of Dr. David Rollock. We are so proud of her accomplishment!! APR 11, 2019 -- Coming from Franklin and Marshall College, Brandon Davis will be joining the SCIP Lab this summer as our new lab manager! Brandon brings a variety of research experiences and expertise to the lab. We are thrilled to have him join our team!! APR 9, 2019 -- Incoming graduate student Elinam Ladzekpo has been awarded a prestigious 2019 National Science Foundation (NSF) Graduate Research Fellowship (GRF). We are very proud of her accomplishment!! APR 3, 2019 -- Check out the latest publications from the Medical Student CHANGE project on how Incoming Medical Students' Political Orientation Affects Outcomes Related to Care of Marginalized Groups, The Effects of Racism in Medical Education on Students’ Decisions to Practice in Underserved or Minority Communities, and Factors influencing medical student self-competence to provide weight management services. APR 1, 2019 -- We are honored to announce that Elinam Ladzekpo will be joining the SCIP Lab this upcoming fall as a graduate student! Coming from the University of California, Los Angeles (UCLA), Elinam is currently a lab manager in Dr. Mary Murphy’s Mind and Idenity in Context Lab at Indiana University. We are thrilled for Elinam to join the SCIP Lab!! Check out Dr. Perry’s talk at the 2019 SPSP Presidential Plenary! APR 1, 2019 -- Interested in learning about the research being conducted in the SCIP Lab? Check out Dr. Perry’s talk at the 2019 SPSP Presidential Plenary here! MAR 13, 2019 -- Graduate student James Wages has been accepted to the competitive 2019 Summer Institute for Social and Personality Psychology to be hosted at New York University. We are so excited and proud!! FEB 27, 2019 -- Dr. Perry has been listed as a notable psychologist in this month’s SPSPotlight newsletter. In honor of Black History Month, SPSP’s student committee highlights and recognizes the achievements of many prominent Black social and personality psychologists. Read the post here. JAN 16, 2019 -- Graduate students James Wages and Sirenia Sanchez, lab manager Adilene Osnaya, and research assistant Mia Weed will be presenting their work at the 2019 Midwestern Psychological Association (MPA) Conference in Chicago. The SCIP Lab is excited to share our work with the MPA audience! DEC 20, 2018 -- Dr. Perry’s work on racial bias in medicine is featured as part of IPR’s top articles of 2018. We are proud! DEC 19, 2018 -- We are delighted to announce that Dr. Allison Skinner has accepted an Assistant Professor of Social Psychology position at the University of Georgia (UGA). Dr. Skinner will begin her position in the Fall of 2019. We are so proud of her accomplishment!!! DEC 18, 2018 -- We are honored to announce that Elisa Rapadas will be joining the SCIP Lab this upcoming fall as a graduate student! Coming from St. Mary’s College of California (SMC), Elisa is a former Summer Research Opportunity Program (SROP) mentee in the SCIP Lab and a featured speaker at the SROP Research Forum. We are very excited for Elisa to join the SCIP Lab!! OCT 20, 2018 -- Graduate student James Wages, lab manager Adilene Osnaya, and former research assistants Bhumi Patel, Liz Quinn, and Elisa Rapadas will be presenting posters at the 2019 Society for Personality and Social Psychology (SPSP) conference. SEP 13, 2018 -- The SCIP Lab would like to thank our wonderful summer research team for their incredible work. We could not have done it without you. You will be missed!! SEP 13, 2018 -- Along with prominent diversity and identity scholars such as Drs. Claude Steele, Mary Murphy, and Jennifer Richeson, Dr. Sylvia Perry has been invited to speak at the 2019 Ohio State University Weary Symposium on Diversity and Social Identity in Columbus, Ohio. She is thrilled to share her work with this new audience! AUG 9, 2018 -- Congratulations to Elisa Rapadas, SROP Fellow in the SCIP Lab, for being selected as a featured speaker at the SROP Research Forum at Northwestern! Elisa's talk was entitled, "Ostracism Increases Adherence to Gender Stereotypes." Under the mentorship of Drs. Allison Skinner and Sylvia Perry, Elisa investigated how ostracism and exclusion causes men and women to make choices that are consistent with gender stereotypes. JUN 22, 2018 -- Drs. Sylvia Perry and Allison Skinner's chaired symposium--Exploring the Links Between Nonverbal Behavior and Intergroup Biases--was accepted to the 2018 annual meeting for the Society for Experimental Social Psychology (SESP) in Seattle, Washington. First, Dr. Allison Skinner's talk is titled, "The Role of Nonverbal Signals in Creating Group Prejudices." In the second session, Dr. Paige Lloyd's talk is titled, "Race-based Deficits in Discerning Pain Authenticity." In the third session, Dr. Sylvia Perry's talk is titled, "Thinking Out Loud: Investigating White Individuals’ Verbal and Nonverbal Responses to Examples of Subtle and Blatant Racism." Finally, Dr. Jin Goh's talk is titled, "It Gets Better: Revealing a Sexual Minority Identity Does Not Increase Exposure to Prejudiced Behaviors." JUN 19, 2018 -- Dr. Sylvia Perry has been invited to speak at the 2019 SPSP Presidential Plenary Session in Portland, Oregon. The session is titled, "Presidential Plenary: Behavior is Worth a 1000 Words" and will focus on the strengths of studying real-life social behaviors in addition to thoughts and feelings. Dr. Perry's talk will be specifically on the value of studying behavioral responses to racial incidents in the lab using a variety of observational methods (e.g., physiological, non-verbal, and verbal). Read more here. In addition to the Presidential Plenary Session, Dr. Perry has been invited to speak at the 2019 SPSP Social Cognition Preconference. Read more here. JUN 15, 2018 -- We are excited to welcome the following new student researchers to the SCIP Lab this summer! MAY 17, 2018 -- Dr. Sylvia Perry was awarded a competitive Weinberg College Research Innovation Grant (W Grant) from Northwestern University. We are very proud and excited! MAY 15, 2018 -- Graduate student James Wages has successfully completed and defended his Master's Thesis titled "The Risky Race and Manly Face: Racial Bias in the Social Perception of Riskiness." He makes us proud!!! MAY 13, 2018 -- Graduate student EP Nelsen has successfully completed and defended their Master's Thesis titled "Visibility and Characteristic Presentation of Multiply - Marginalized Targets: An Examination of Interpersonal Intersectional Invisibility." Way to go EP!!! APR 16, 2018 -- Research assistant Liz Quinn has accepted a competitive lab manager position at the University of Southern California where she will be working under Drs. Sarah Townsend, Cheryl Wakslak, and Nathanael Fast beginning in August. We are so proud!! APR 2, 2018 -- Read our new Social Science & Medicine paper: "A Comparison of Clinicians’ Racial Biases in the United States and France" featured by Northwestern's Institute for Policy Research and WTTW. MAR 05, 2018 -- Dr. Skinner's chaired symposium is featured by a Society for Personality and Social Psychology (SPSP) blog. Read the entry here! FEB 22, 2018 -- We are honored to announce that Sirenia Sanchez will be joining the SCIP Lab this fall as a graduate student in social psychology at Northwestern! Coming from the University of California, Santa Barbara (UCSB), Sirenia is a former UCSB McNair Scholar, Summer Research Opportunity Program (SROP) mentee in the SCIP Lab, and featured speaker at the SROP Research Forum. We are very excited for Sirenia to join the SCIP Lab at Northwestern! FEB 15, 2018 -- Lab manager Adilene Osnaya will be presenting a poster at the Illinois Summit on Diversity in Psychological Science in Urbana and Champaign, IL. Additionally, Adilene will be presenting another poster at this year's MPA meeting in Chicago, IL. Adilene and her co-investigators have been awarded a Psi Chi - MPA Regional Research Award for their project titled, "Understanding How Framing Racial Inequality Affects Racial Attitudes: A Replication Study." JAN 11, 2018 -- Research assistant Liz Quinn will be presenting a poster at this year's Midwestern Psychological Association (MPA) in Chicago. Additionally, Liz will be presenting a poster at this year's SPSP meeting in Atlanta. DEC 13, 2017 -- Dr. Perry is featured by the Society for Personality and Social Psychology (SPSP) as this month's Member Spotlight. Read Dr. Perry's interview here! DEC 6, 2017 -- Undergraduate research assistant Liz Quinn was awarded a competitive Academic Year Undergraduate Research Grant (AYURG) from the Northwestern University Office of Undergraduate Research to examine the role of implicit disgust in blame for hate crimes against gay men. We are proud! NOV 27, 2017 -- Dr. Sylvia Perry has accepted an invitation to join the Leadership Group for the Northwestern Institute for Sexual and Gender Minority Health and Wellbeing (ISGMH). Among other duties, the leadership group will advise ISGMH director, Dr. Brian Mustanski, on matters pertaining to ISGMH's scientific priorities and campus and community partnerships. Dr. Perry is excited about the potential for future collaborative opportunities between the SCIP Lab and ISGMH! In addition to Dr. Perry's leadership role, graduate student James Wages will affiliate with the institute as an ISGMH Graduate Research Fellow. In this role, James was selected to receive the ISGMH Graduate Fellow Research Award to pursue research related ISGMH's scientific priorities. James is honored to be selected for this award and looks forward to collaborating with ISGMH! NOV 27, 2017 -- Dr. Sylvia Perry has been invited to speak at several academic conferences across the country over the next year. Dr. Perry is excited to share her expertise and research conducted in the SCIP Lab! In March 2018, Dr. Perry will give an invited symposium talk on diversity science at the Illinois Summit on Diversity in Psychological Science in Urbana and Champaign, Illinois. Dr. Perry will be speaking alongside several other distinguished psychological scientists, including Drs. Mesmin Destin, Alice Eagly, and Sarah Gaither. In April 2018, Dr. Perry will be the invited Stereotyping and Prejudice speaker for the Midwestern Psychological Association (MPA) Annual Meeting in Chicago, Illinois. In July 2018, Dr. Perry has been invited to coordinate and speak at a symposium for the International Society for Political Psychology in San Antonio, Texas. The symposium will broadly focus on discrimination, stereotypes, and well-being in the American healthcare system. NOV 27, 2017 -- Dr. Allison Skinner was awarded a competitive Faculty Research Grant ($4,200) from Northwestern University to examinine the role of ingroup norm-consistent behavior in response to social rejection. The SCIP Lab is proud of her accomplishment! NOV 27, 2017 -- Dr. Allison Skinner's chaired symposium--Racial/Ethnic Diversification in the U.S.: Emerging Social Psychological Issues--was accepted to the 2018 annual meeting for the Society for Personality and Social Psychology (SPSP) in Atlanta, Georgia. Dr. Skinner will give a talk in this symposium titled, A robust implicit bias against interracial couples: Evidence from Whites, Blacks, and Multiracials. Graduate student James Wages, former SROP fellow Sirenia Sanchez, and former research assistant Sierra Semko will all present posters at this year's SPSP meeting in Atlanta. In addition to SPSP, Sirenia also presented her SROP research at the 2017 Annual Biomedical Research Conference for Minority Students (ABRCMS) in Phoenix, Arizona. Please visit us at the SPSP conference if you would like to learn more about the exciting research taking place in the SCIP Lab! AUG 9, 2017 -- Coming from Dominican University, Adilene Osnaya will be joining the SCIP Lab this month as the lab manager! 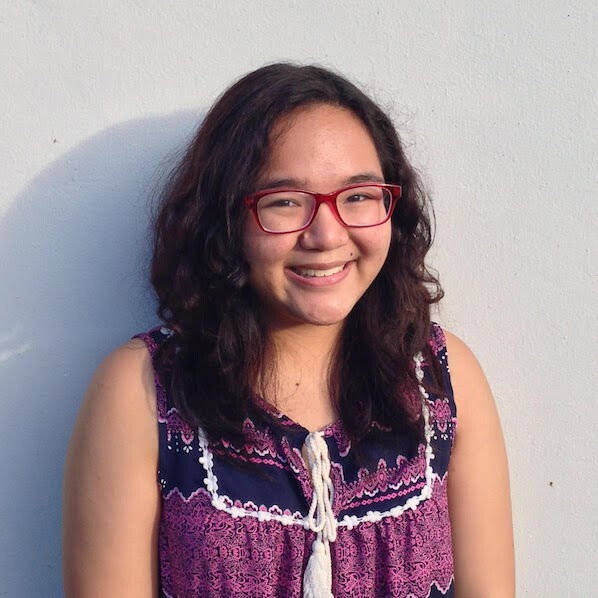 Adilene brings a variety of rich research experiences and expertise to the lab, from Latina/o-based stereotype threat research to online data collection and neuroscience-based methodologies. We are very excited for Adilene to join the SCIP Lab at Northwestern! AUG 7, 2017 -- Congratulations to Sirenia Sanchez, SROP fellow in the SCIP Lab, for being selected as a featured speaker at the SROP Research Forum Opening Session at Northwestern! We are proud! Sirenia's talk was titled, "For whom the risk matters: System-justying tendencies drive gender and racial differences in risk perception." Under the primary direction of Dr. Sylvia Perry and graduate student James Wages, Sirenia investigated the role of system-justifying beliefs as a motivated cognitive mechanism in explaining White men's elevated propensity for cognitive and behavioral risk skepticism, relative to women and racial minorities. JUL 28, 2017 -- Dr. Perry will be on leave during the Fall and Winter quarters of the 2017-2018 Academic Year. If you need to get in touch with Dr. Perry or have questions about the SCIP Lab, please contact Dr. Allison Skinner 📧 or the SCIP Lab Manager, Adilene Osnaya 📧. JUN 8, 2017 -- The Institute for Policy Research (IPR) at Northwestern interviewed Dr. Perry, an IPR associate, on her recent article examining the role of informal training experiences (e.g., intergroup contact, diversity training, and role modeling) in predicting medical student attitudes toward African Americans, published in the Social Psychology Quarterly. Click here to read! MAR 20, 2017 -- Coming from the University of Washington, Dr. Allison Skinner will be joining the SCIP Lab this summer as a postdoctoral scholar! Dr. Skinner studies the causes and consequences of subtle social bias (e.g., implicit racial bias), particularly how biases are activated and spread among children and adults. We are very excited for Allison to join the SCIP Lab at Northwestern! FEB 15, 2017 -- Read our new JESP paper: "Beyond generalized sexual prejudice: Need for closure predicts negative attitudes toward bisexual people relative to gay/lesbian people." DEC 10, 2016 -- Dr. Perry's co-chaired symposium (with Dr. Jamie Abaied)--"Unpacking racial prejudice: Social processes in the development of intergroup attitudes"--was accepted to the 2017 biennial meeting for the Society for Research in Child Development (SRCD) in Austin, Texas. Dr. Perry's symposium will feature her talk with Dr. Abaied, titled "Predictors of White parents' motivation to discuss race with their children," and talks from Drs. Sarah Gaither, Harriet Over, and Kristin Pauker. NOV 17, 2016 -- Our paper on the "Association between perceived medical school diversity climate and change in depressive symptoms among medical students" (first authored and presented by Dr. Rachel Hardeman) was awarded Best Research Paper by the Association for Medical Education in Europe. NOV 17, 2016 -- Read our new work on how "Medical students’ growth orientation regarding interracial interactions affect their preparedness to care for minority patients," "The effects of formal and informal training experiences on explicit bias against African Americans among medical students," and the "Association between perceived medical school diversity climate and change in depressive symptoms among medical students" here, here, and here. OCT 18, 2016 -- Congratulations to graduate students EP Nelsen and James Wages, who are the recipients of the Graduate Student Conference Travel Award granted by The Sexualities Project at Northwestern University (SPAN). This funding was awarded to present research at the 2017 meeting of the Society for Personality and Social Psychology (SPSP) in San Antonio, Texas. We are proud of and thankful for the support! SEP 1, 2016 -- Dr. Perry's symposium--"Hard Truths About Race on Campus" (co-chaired by Drs. Elizabeth Shockley and Evelyn Carter)--was accepted to the 2017 annual meeting for the Society for Personality and Social Psychology (SPSP) in San Antonio, Texas. Dr. Perry's symposium will feature her talk, titled "Admit or deny? People's perceptions of those who admit their racial bias", and talks from Drs. Evelyn Carter, Evan Apfelbaum, and Eric Knowles. Graduate students EP Nelsen and James Wages, will both present posters at this year's SPSP meeting in San Antonio. Congratulations to graduate student James Wages, who is the recipient of an SPSP Graduate Student Travel Award. We are proud! Please visit us at the conference if you would like to learn more about the exciting research taking place in the SCIP Lab! 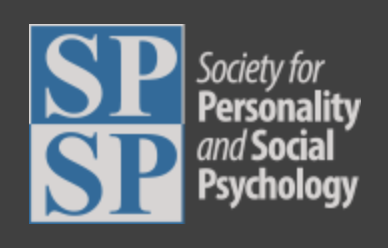 JUN 22, 2016 -- Dr. Perry's symposium--"Facing your own prejudice: Reactions to confrontations with implicit biases" (chaired by Dr. Adam Hahn)--was accepted to the 2016 annual meeting for the Society for Experimental Social Psychology (SESP) in Santa Monica, CA. Dr. Perry's symposium will feature her talk, titled "Individual differences in Whites' racial bias awareness predict their perceptions of IAT feedback and others' racial biases," and talks from Drs. Erin Cooley, Adam Hahn, and Jennifer Howell. MAY 1, 2016 -- Dr. Perry has accepted an assistant professorship in the Department of Psychology at Northwestern University! In addition, Dr. Perry will hold a secondary appointment in the Department of Medical Social Sciences in the Feinberg School of Medicine, and will be a Faculty Associate in Northwestern's Institute for Policy Research. Dr. Perry starts her position on July 1, 2016, and she is looking forward to building the SCIP Lab within the Wildcat Community. SEP 18, 2015 -- Dr. Perry's article “The impact of everyday discrimination and racial identity centrality on African American medical student well-being: A report from the medical student CHANGE study” is accepted into the Journal of Racial and Ethnic Health Disparities. JUL 21, 2015 -- Vermont's NPR News Source (Vermont Edition) interviewed Dr. Perry on her recent article examining racial bias awareness published in the Journal of Experimental Social Psychology. Click here to listen! JUN 29, 2015 -- Dr Perry’s article “Modern Prejudice: Subtle, but Unconscious? The Role of Bias Awareness in Whites' Perceptions of Personal and Others' Biases” is accepted into the Journal of Experimental Social Psychology.